What can I say, Anna, Tamara and I have been looking at the summer range since July! We are over it! Plus we need to make room in the shop for new season. 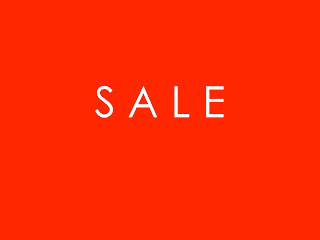 To do so properly we have DRASTICALLY reduced all over our Summer stock to 50% OFF the already reduced price. So in reality most stock is 70%-80% OFF the original price. Online customers please take a look on the website, ring the store on 95890977 and we will manually do the additional reduction and process it for you. So please do not put any credit card details or go to cart. We need to do this manually.